Several years ago, I felt God’s call to write a fictional novel about women who were dissatisfied with their marriages. I’d just finished a Bible study that explored the roles of love and respect in marriage – God calls husbands to love their wives, and wives to respect their husbands. I realized that respect couldn’t be verbalized, it had to be demonstrated. 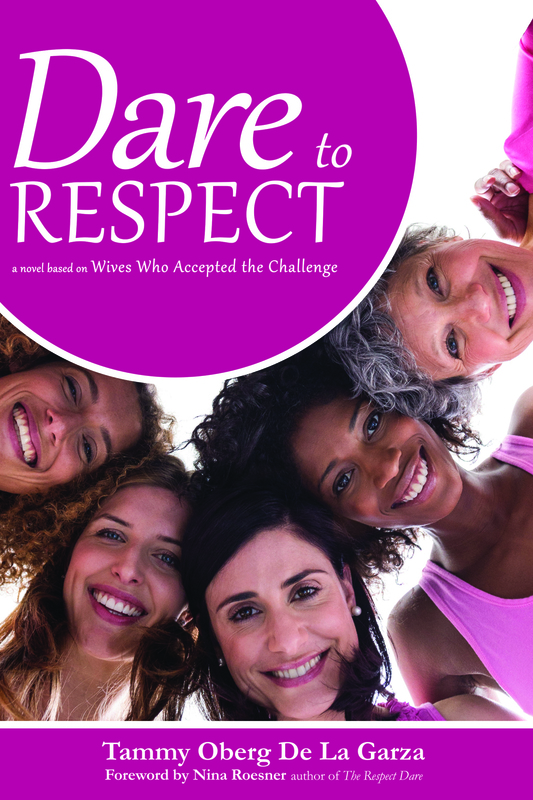 So, after hearing an author on Moody Radio talk about her book of 40 challenges for wives to learn how to treat their husbands with respect, I got the book and gathered a couple of girlfriends to take these 40 dares with me. Some of the tasks were fun, such as buying my husband a gift that represented what he meant to me. Others were uncomfortable… like the one where I had to ask my beloved if there was ever a time my words made him feel like a child. Eeek. Ouch! But I was faithful to all of the dares. Though it took us almost a year to complete 40 dares that most do in 40 days, our mighty trio successfully finished the book and learned a thing or two about communicating respect. After learning and practicing new ways of respectfully interacting with my husband, I felt a shift in our relationship. The better equipped I became at demonstrating respect in authentic ways, the more Rey started listening, caring, and showing his love for me. So, with this notion of writing a novel, I communicated with, the author of the book that had changed my marriage and got her blessing to start working on a novel about 6 women whose marriages were weathering some pretty ugly storms. The characters represent different ages, cultures, religious affiliations, social classes and hurdles. Once I began writing, these women quickly joined my inner circle of girlfriends. I completed the book and ushered it through the revision and editing process. I became more involved with marriage ministry and doubled my efforts at following God’s directions for marriage – partly out of obedience, but mostly to safeguard my marriage against potential threats. I tried to demonstrate respect to Rey in every interaction, held my tongue and prayed for him daily. I asked God to bless him, grow faith in him, protect him, give me wisdom in relationship with him and strengthen our marriage. My thoughts, my hopes and my attention were focused on Rey. Without realizing it, my marriage and husband had become an idol. But God is good… and he wouldn’t let me go. He pursued me through a multitude of channels (friends, sermons, testimonies, Scripture, and worship). I finally received the message that my relationship with God has to be my first priority. I was ready to trust Him. I took Rey off the throne and allowed God to inhabit His rightful place in my heart. What remained was a sense of peace that had eluded me no matter how hard I tried to secure my marriage. I was renewed with the knowledge that God is steadfast. He will never leave us, never fail us, and will always be our source of strength and joy. So, today my marriage ministry is God’s ministry. It my relationship with Him that gets my first time and attention. Rey and I are rounding the corner on our 20th year of marriage, and it’s stronger than ever. Today he shows a deeper love for me than he did at any point in our relationship. But I am fully conscious that God is the only one who will never fail me. He alone will remain faithful through every season of my life and journey. No spouse, friend, or family member is 100% capable of that. They aren’t supposed to do that. Only God can. So, let’s honor God with our marriages – specifically in the ways we think, talk and act with our mates. Let’s be thoughtful and respectful, but above all things recognize that it is in God we put our trust. He is the King. So, let’s be certain that the throne is reserved for Him alone!